This is absolutely the best thing I’ve seen all week. Say what you want about Webbie’s ability as a rapper, but he’s talented and funny as hell. 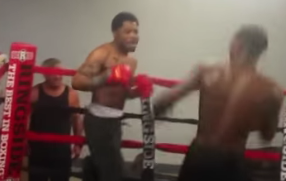 The rapper tried his hand at boxing, wearing slippers at that, and it’s a joy to watch.